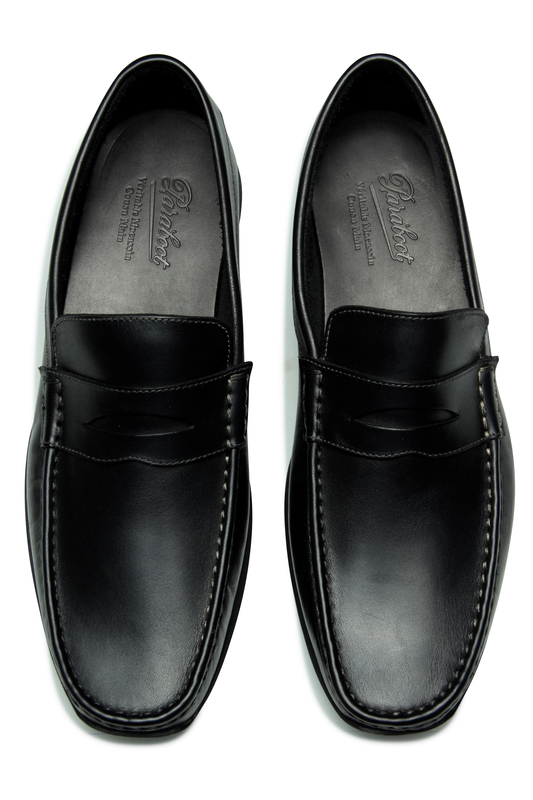 An essential moccasin for your classic summer outfits. 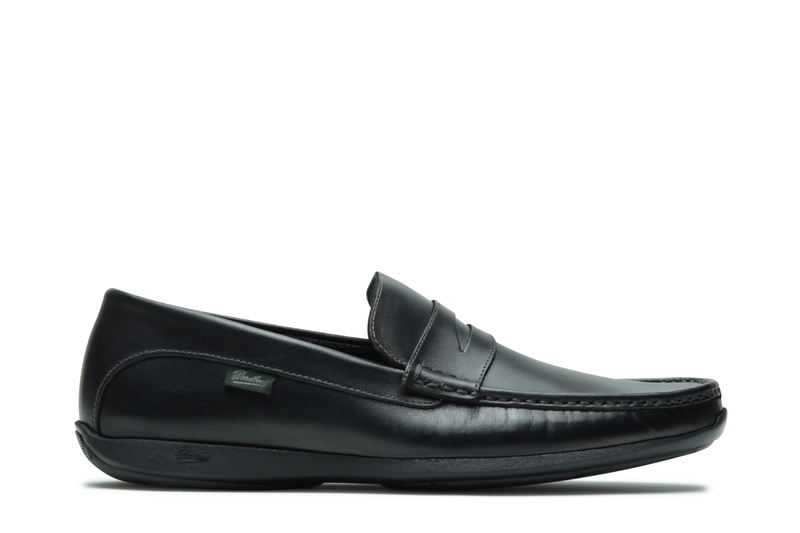 Piped seam loafer, Saddle strap. No lining, Blake stitching on genuine rubber sole shoes. 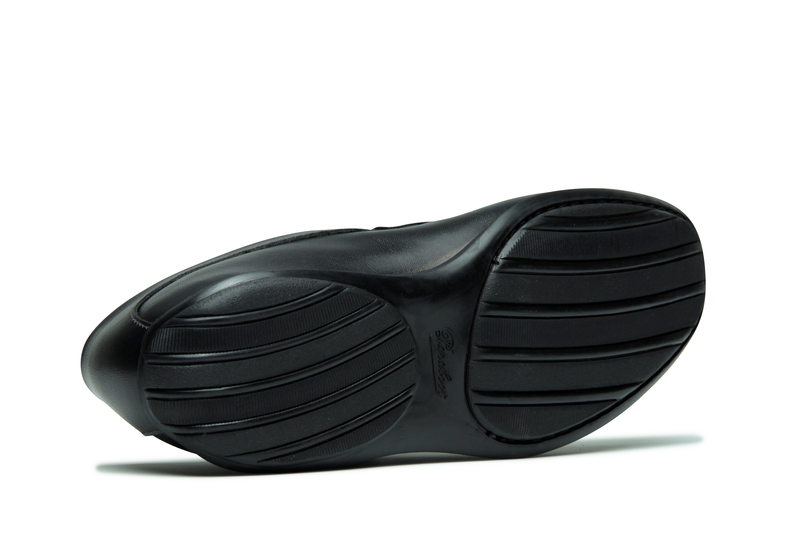 The upper is fixed directly to the outsole by means of an assembly stitching that runs through the outsole. In 1858, a young employee from the sewing machine manufacturer Singer makes an invention that is a small revolution in the world of footwear. 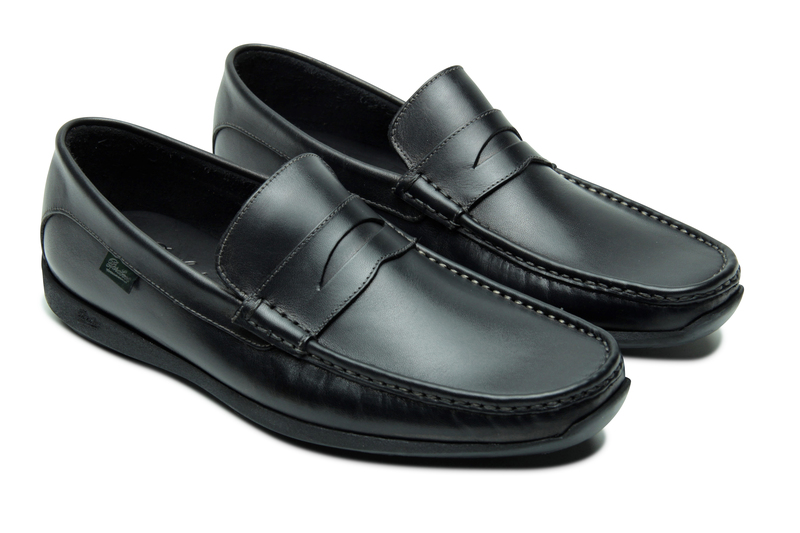 It democratizes the shoe sewn on leather sole and meets with great success. 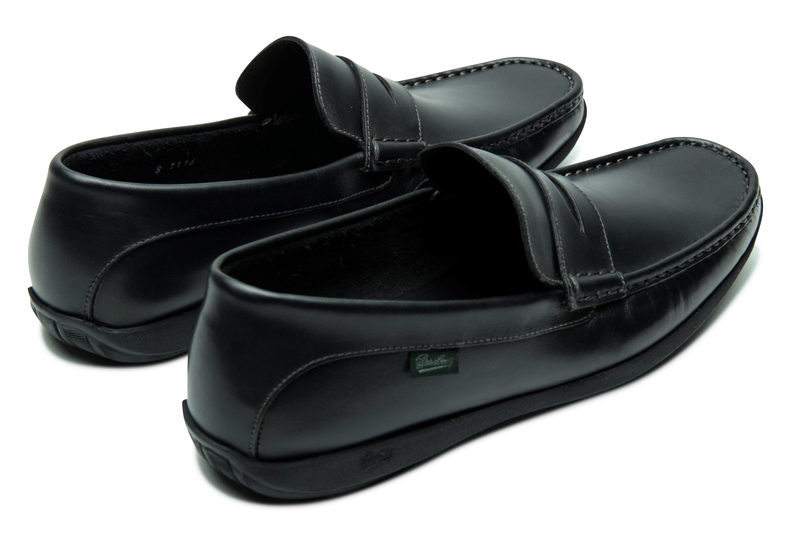 The Blake welt models are light and flexible, and even more on a rubber sole. The visual of the shoe is finer than a Goodyear construction. However, from a technical point of view, durability and impermeability are less than with a Norwegian or Goodyear construction. Some expertise no longer exists in France. To continue to offer this model, Paraboot entrusts its manufacturing to its Spanish partner, proof of professionalism and quality. Country of tradition, Spain has been able to keep know-how and recognized expertise, for patinas or genuine welt moccasin. In addition, there are still wide ranges of machinery that expand the range of possibilities.